Marantz CD6000OSE CD Player Model No: CD6000F/T2B - Pro Compact Disc Player. Original SE. BANG & OLUFSEN Beogram CD4500 CD player. This cd player will work in any Hi-fi system, not just a Bang & Olufsen one. You just need a DIN to RCA adaptor lead. The powered lid is very cool too. Great working order and excellent condition. Linn Majik DS/2 Black Streamer, Excellent Condition, Latest Model. Approx 2 years old, owned from new. Marantz CD6005 CD Player. Worldwide shipping. It has a huge list of features and isn't just a simple CD player. One of the things I used to do was labelling the CDs as I inserted them, with a keyboard. It also has an optical-out port for optimum sound. The player is compatible with music CDs, CD-R and CD-RW discs, and can play a wide range of file types, including WAV, AAC, WMA and MP3 files. HDAM technology provides wide dynamic range and wide frequency response along with lowest distortion for the utmost musical fidelity. 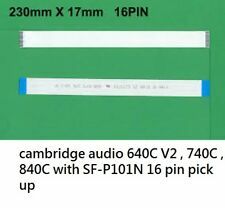 Manufacturer Part Number CD6005. Manufacturer Marantz. Product Type CD Player. Interfaces-Ports 1 x USB - Front, 1 x RCA Stereo Audio Line Out - Rear, 1 x Headphone - Front, 1 x S/PDIF Out - Rear, 1 x Toslink S/PDIF Out - Rear, 1 x D-sub Remote In - Rear, 1 x D-sub Remote Out - Rear. Arcam CDS27. Discreet sub-regulated power supplies are integrated within the unit, on the drive, audio and DAC boards. The CDS27 benefits from a critically damped cover and chassis, designed to practically eradicate all micro-phonic resonances and vibrations that may otherwise distort or alter the sonic performance of the CD player in a negative way. MASH Compact Disc CD Player Technics Original Remote. Used in good working order ! Technics SL-PG490. a sleek black CD player with a superb external DAC/digital preamp allowing you to fully enjoy your CD collection. 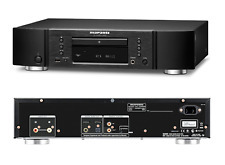 Similiar to the 8300CD, the 8300 CDQ stretches the resolution to 32-bit/384-kHz and DSD compatibility. The Onkyo C-7030 is a very good high fidelity CD player, that is very reasonably priced, designed for music lovers who appreciate the solid experience of playing CD's. The new transport is custom designed for audio playback with a smooth loading drawer and low clamping noise. The internal clock has been improved for a smoother sound and decreased jitter.Like the CD-160, the CD-200 has unbalanced phono outputs and S/PDIF digital out on coaxial and optical jacks. This is the later model with TDA1543 DAc. Compatible with iOS or Android, the app lets you source the music you want to play plus also lets you change network and other settings. Precise, accurate and natural sounding, the CD player will remind you of just how good the format can sound. Made in Japan. In good condition. Supports DSD 5.6 MHz native playback (via network / USB). This list is Receiver only. Supports playback of WAV / FLAC 192 kHz / 24 bit file etc. high resolution sound source. Color: Black. Bluetooth 3.0 pairing to (8) devices. Bluetooth Specifications. - Bluetooth version: 3.0. ● 19" rack mountable CD player. - USB host port for file playback. 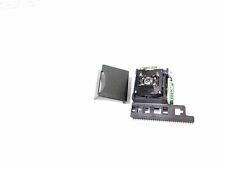 - D-sub 9-pin female RS-232C. - Slot-loading CD transport. We aim to have your item with you within 24hrs. All serial numbers are recorded. Quality Service. For your peace of mind. 3.5mm AUX input for playback from portable players. USB host port for file playback. Bluetooth 3.0 pairing to (8) devices. Bluetooth Specifications. Bluetooth version: 3.0. D-sub 9-pin female RS-232C. With support for CD-DA, MP3, WAV, and AAC file formats, the DN-300ZB is the BYOD (Bring Your Own Device) player that excels when the unpredictable occurs. Bluetooth with up to 100' range. Wireless audio playback from tablets and smartphones via. CD-200 Tascam Cd Player 2U Rackmount Mp3. 2U Rackmount design. DA (support CD-R & CD-RW disc), MP3 & WAV file playback. Optical and Coaxial S/PDIF digital output. Index search. You are viewing a Marantz CD7300 CD player in used condition and good working order. The 2 x RCA or balanced XLR allows for line level output that can be connected to various amplifiers. Ideal for use in restaurants, bars or leisure centres. Music & Musician. 1U 19" rack mountable with removable rack ears. To enjoy music from different genres, flick on the random mode in this Marantz CD player. This Marantz CD player supports CD and CD-R/RW playback. The sound quality of the Marantz CC4300 CD changer is great. DENON CD Player DCD-755RE Black 32bit DHL. ◆ DAC Master Clock Design & Minimum Signal Pass Circuit - Prevents Signal Degradation on the Circuit. DENON's proprietary analog waveform reproduction technology to reduce distortion caused by quantization Alpha Processor is newly upgraded to AL 32 Processing. DENON CD Player DCD-755RE Silver 32bit DHL. ◆ DAC Master Clock Design & Minimum Signal Pass Circuit - Prevents Signal Degradation on the Circuit. DENON's proprietary analog waveform reproduction technology to reduce distortion caused by quantization Alpha Processor is newly upgraded to AL 32 Processing. CDR/CDRW playback. Devon House Clearance Treasures. Which is not compatible with 110V in USA. COMPACT DISC PLAYER TECHNICS SL-PG490 IN VERY GOOD CONDITION AND WORKING ORDER. NO REMOTE CONTROL INCLUDED. Proprietary pulse conversion technology which realized ideal waveform generation by greatly reducing distortion. Realized network CD receiver equipped with 3-state Bitstream state. ■ Wireless LAN (Wi-Fi): Corresponding standard IEEE 802.11 a / b / g / n compliant, radio frequency 5 GHz / 2.4 GHz. History of DENON (Denon) is the audio of our country for more than 100 years of history itself. Philosophy through the product all on DENON. Long-standing DENON audio creation, advanced, advanced technology and philosophy. Equipped with NFC function. Easy connection to Bluetooth. Color: Black. Yamaha CD-N301 CD Player. Affordable CD player with network audio capabilities. Beautiful sound and top-grade design inherited from the Yamaha Hi Fi concept. AirPlay compatible. Available via future firmware update. It really does expect the unexpected. Or, go wireless with long-range Bluetooth audio connectivity (up to 100 feet) and instant recall of up to 8 devices such as smartphones and tablets. With support for CD-DA, MP3, WAV, and AAC file formats, the DN-300Z is the master-of-all-trades player that excels when the unpredictable occurs. Notes during the machine operation I will use a marker pen to point out the solder bridge, where you need to de-solder. Technics SL-PG490 CD Player. Condition is used but working. Sold as seen. · RCA Lead supplied. · Remote not included. · Weight: approx 3 kg. · Serial Number: see pics. Cambridge Azur740C. Cambridge Azur840C. Cambridge Azur340C. Cambridge Azur351C. Cambridge Azur540c v2. Cambridge Azur550C. Cambridge Azur640c v2. Cambridge Azur650C. ◆ Supported standards: CD, radio (Wide FM compatible), USB, Bluetooth. TEST TITLE. ・This product is only for 100V. The CDM12.4 will replace both the CDM124 and VAM1204. For AUDIOLAB 8000 CD ( CDM12.4 VAM1204 ). For CLASSE AUDIO CDP.5 ( CDM12.4 VAM1204 ). For CLASSE AUDIO CDT-1 ( CDM12.4 VAM1204 ). 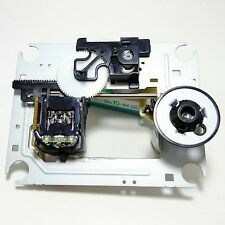 For EXPOSURE CD Player ( CDM12.4 VAM1204 ). Compatible CD Formats SACD. CD Changer Capacity 1. Type CD Player. MPN SCDXA5400ES. Compatible CD Formats CD-R. Compatible CD Formats CD-RW.